Desserts, Set Menu & More at Café Ceramique! Choose from American coffee, Turkish coffee, Espresso Macchiato, Cappucino, Mochaccino and more! Choose any two from Chocolate Fondant, Cheesecake or Tiramisu to complete your daily delights routine! Mediterranean Chicken – Chicken cooked in the Mediterranean style served with salad and hummus. Café Céramique is a great place for all ages to come together and relax with coffee, desserts and quick bites. You can also create art by painting and drawing on cups, mugs, piggy banks, showcase items and more! Up to 52% off all-day cravings for coffee and desserts! 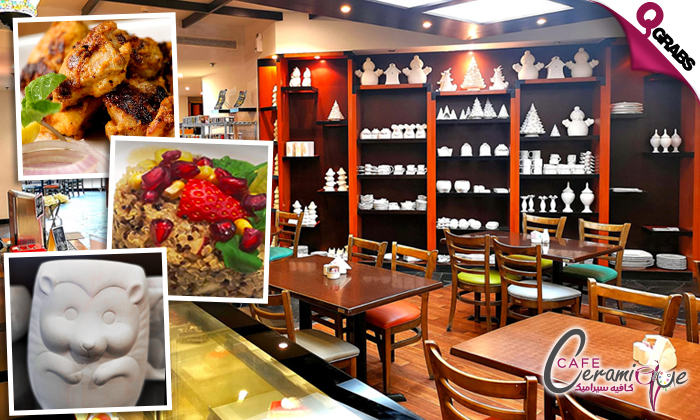 Café Céramique is a destination for all ages to come and relax and enjoy a high-quality meal and choose to paint many different types of ceramics that they offer. They mainly cater for events and organize customized birthdays, farewell parties, and any type of celebration.